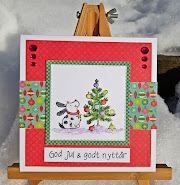 Hos Dorte: Vertical, a DT card for ABC Christmas Challenge. 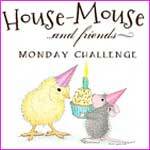 I love this fun House Mouse image, it's so perfect for our vertical challenge this week. So cute! What a sweet little mouse balancing that 'vertical' pile of baubles! 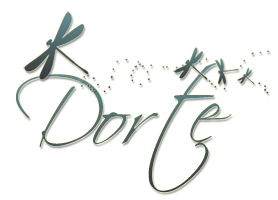 Love this cute image Dorte, such a fun card! Gorgeous card Dot! The image is adorable & beautifully coloured. Lovely card, the image is perfect for our challenge. Thanks for joining us at the Cutie Pie challenge.